For those of you who are not familiar with the world of online marketing, PPC stands for ‘pay per click’ and indicates all advertising which is used to direct traffic to websites through adverts, which are displayed in search engines once a certain keyword has been typed by the user. How are PPC campaigns designed? The first stage of a PPC campaign includes choosing the keywords that the campaign wants to target by looking at the most searched terms in the search engines. After collating a list of relevant keywords, appropriate adverts are created and grouped in different ad groups according to the specific topic they are targeting. So, for example, if we are working for a company which sells furniture online, the different ad groups could be ‘Living Room Furniture’, ‘Bathroom Furniture’ and ‘Garden Furniture’. Several adverts will then be created for each group so that different adverts appear after a specific keyword has been searched. As you might or might not have noticed, when searching for a keyword on search engines we are firstly presented with ‘special’ adverts on top of the page which are called ‘ad texts’ and are made of four different lines, as shown below. The first line is called title and can’t exceed 25 characters. The title is usually underlined and in bold and includes the main keywords which indicate the range of services offered (in this case, Bags). The third and fourth lines are the description of the ad text. The third line usually includes the benefits and features offered by the website while the fourth line contains the so-called ‘call to action’, that is an expression such as ‘visit us now!’ or ‘sign up for free now’ which aims at urging the user to click on the hyperlink provided (or anywhere in the advert). The displayed URL is not the actual link it points to, it can in fact contain any keywords related to the website. Unlike the title, all the other lines can contain up to 35 characters. Difficulties arise when ad texts need to be localised for foreign markets, mainly due to linguistic reasons. Cultural reasons are also to be taken in consideration but will not be analysed in this blog. Here at Search Laboratory we can rely on many on-site linguists who can give us the best service when creating PPC campaigns. As an Italian SEO Executive, I have personally taken part in the creation of PPC campaigns in Italian and have myself experienced several linguistic related issues, which I will try to summarise here, as well as provide some solutions. As mentioned earlier, the number of character available when creating ad texts is limited and this creates problems when linguists have to translate or write adverts in languages which are known to contain longer words, particularly when compared to languages such as English. The Romance languages (such as Italian, Spanish or French) in particular own many polysyllabic words, mostly due to their close relationship with Latin which owned several declinations and gender classifications, making the words, and consequently the sentences, longer. From a particular grammatical point of view, English owns a linguistic ploy which allows it to extensively reduce the number of characters needed – the ability to create compound words (also called compoundings). Word-compounding consists of creating new expressions attaching two or more words one after the other without having to connect them with connectors. For example, the English expressions ‘English Summer School’ is the compound of ‘Summer School of English’ or, as seen in the previous tables, ‘Business Conference Calls’ is the compounding for ‘Conference Calls for Businesses’. This device is pretty common in Germanic languages such as Dutch, English and German, but it’s rarely used in Romance languages (Italian, French, Spanish, Portuguese), which usually need connectors in order to form sentences and do not allow the simple listing of one noun after the other as it often happens in English. This linguistic diversity creates big problems when having to translate or create texts with a limited number of characters (as in adverts for a PPC campaign). As a result of this, Germanic languages are able to include more information in a smaller chunk of space and can be considered as ‘privileged’ languages for PPC campaigns as they require less struggle from linguists. If we look at the examples table in the previous paragraph, we can notice that the highest characters’ excess takes place when the English can make use of a long compounding such as ‘Unlimited Business Conference Calls’. The other Romance languages, in fact, need to use connectors to link the different nouns, making the whole sentence longer. The first thing to bear in mind is that the need for onsite mother tongue linguists is ‘critical’ when delivering successful PPC campaigns. The availability of mother tongue linguists will allow the adverts to sound natural and be perceived as reliable to the users, which will in turn make them more likely to click on them. In order to overcome the linguistic problems mentioned above it might be a good idea to give the linguists as much freedom as possible during the creation of the adverts. Providing them with a source English text to be translated might not be as useful as expected, since it can influence what they are going to write and they might feel like they need to stick to it more than they actually should. The best idea, which we have recently embraced here at Search Laboratory and which has brought good results, is to provide the in house linguists with some guidelines on what the adverts should convey, rather than giving them English adverts. This way, they will gain creative freedom and the final adverts will surely sound more natural than if they were created starting from a source text. In order to overcome the length issue, instead, we need to remember that the description line can be distributed over two lines. This might help the linguist create longer and better sentences without having to omit any important content. An available second linguist who could proofread the adverts to make sure they are ready to be published would also come in handy. The key factor here is to trust the linguist and give him or her a free hand. You must bear in mind that marketing campaigns need to be tailored differently for each country since the cultural contexts are extremely diverse, as are peoples’ expectations and reactions to adverts. Rather than a direct translation of content, which can still a valuable and useful method at times, it is preferable to opt for what I would call a ‘translation of ideas’ in order to foster the creative spur and leave the linguists freedom to completely adhere to the targeted countries. 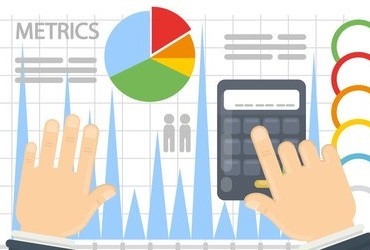 How does average position correlate with Google’s new ad metrics? 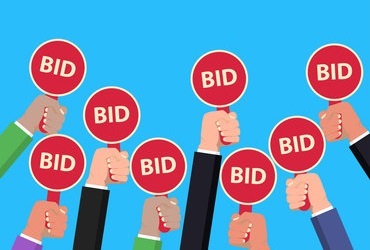 What bidding strategies are available in Search Ads 360? 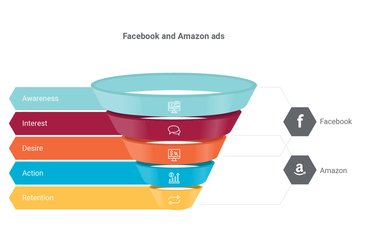 Amazon or Facebook Sponsored Ads: which platform should you use?